The true story of the greatest cold case in Arctic history?and how the rare mix of marine science and Inuit knowledge finally led to the recent discovery of the shipwrecks, from Pulitzer Prize–winning photojournalist Watson. Watson eloquently shows, particularly through Inuit historian Louis Kamookak and his search to discover what his relatives and elder Inuit knew, that if only the many generations of Franklin searchers had thought to ask, then the great mystery of Franklin might been have solved decades ago. This final section of the book is when Watson’s story shines. It is also what makes his story different and more valuable than most of what comes from the cottage industry of Franklin books. I have one bone to pick. Ice Ghosts contains only three maps. In a book that goes to great detail to provide specific geographic information, the absence of high-quality, detailed maps is an annoying detriment to the tale that Watson tells. Kamookak was a boy in 1966 when he heard his grandmother's stories of finding strange metal objects. He became fascinated with the mystery of Franklin and later began gathering an oral history of various elders' accounts. Watson's depiction of this work lends spiritual and physical insights into native life in the extreme conditions ... Watson's deeply felt understanding of that work heightens Kamookak's sad satisfaction while enacting, at book's end, an ancient rite over the sunken Erebus. Ice Ghosts documents what happens when cultures collide. Or perhaps more pointedly, when one culture feels superior for no better reason than pride. 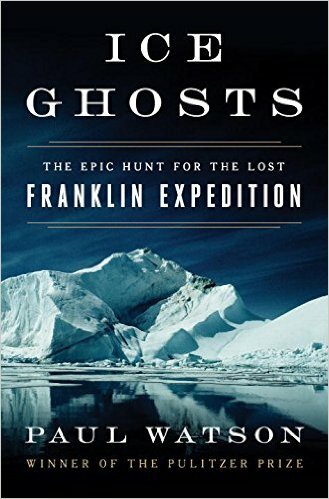 While there have been many previous books about the Franklin expedition and its mysterious fate, the notable originality of Ice Ghosts lies in the fact that it brings the story right up-to-date, covering not only the discovery of the Erebus in 2014, but also the discovery of the Terror, about 40 miles to the north, in 2016 ... The book moves up a gear, however, when Watson turns to the more recent past. 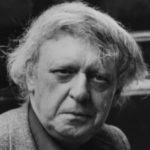 Watson’s prose can be uneven sometimes, but he is at his vigorous best when describing places and people he has met and talked to. 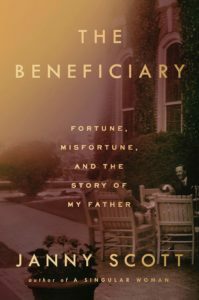 He provides sharp and entertaining portraits of the various Franklin obsessives whose experience and expertise fed into the 2008 initiative ... This book has some flaws. The style can be digressive and occasionally confusing, and I could have done without the more mystical passages concerning Louie Kamookak and the Inuit. What did you think of Ice Ghosts: The Epic Hunt for the Lost Franklin Expedition?